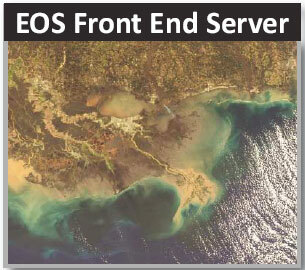 The EOS Front End Server (FES) provides all the automation and management tools needed to control a ground station antenna that is capable of scheduling, tracking, montoring realtime status, and ingesting and demodulating multiple EOS DB satellites efficienctly. A complete software/hardware package, the FES allows users to quickly get their antenna system up and running. Every step in the data capture process is user-friendly, automated and reliable – the data and control you need 24/7 from anywhere in the world. The EOS-FES even keeps your satellite ephemeris (TLEs) up to date! View comprehensive real-time system operation status and performance data at a glance. Intelligent automatic acquisition scheduler allows users to automate data acquisitions based on any data quality or coverage priority. Easily schedule antenna feed, receivers, downconverters and tracking for each pass and obtain/update antenna ephemeris for all tracked satellites daily. 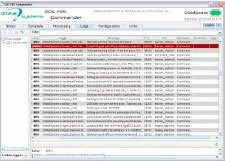 Central logging of operations and errors for all system hardware and software components. Dynamic configuration system allows easy addition and modification of hardware and software set-ups for individual satellites, including parameters for RF equipment, data ingest, post processing and external data services. Powerful command line tools and a customized command interface make manual system operation, performance evaluation, and error diagnosis intuitive, simple and quick. Web-enabled remote service protocols and open architecture of all software system components allow for quick and easy development of custom software for any task related to system control or automation. 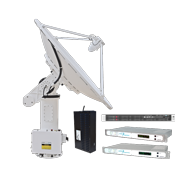 The 2.4XLC X-L Band EOS DB antenna system bundle for customers wanting the convenience of a pre-configured antenna solution that is installed and running in a short timeframe. 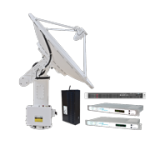 A complete and fully integrated antenna bundle that receives X and L Band EOS DB data and processes it to level 0. The system bundle combines Orbital Systems’ most popular products, providing access to the highest quality system at the lowest possible cost for science and weather research. Manages reception system for all common EOS satellites including Terra and Aqua MODIS, NOAA POES, METOP, FY1 and future NPP, JPSS (NPOESS) and FY3.